Brooklyn International High School, one of the most established schools in the Internationals Network for Public Schools, teaches new immigrants English and offers a strong arts program that includes dance, art, guitar and video production. This safe school enjoys excellent ratings on school surveys. Teachers are happy with the strong leadership and all would recommend the school to other families. Most students graduate on time and enter college after graduation. The school receives the highest marks on the city's quality review. Like the other Internationals Network schools, Brooklyn International serves students who have limited English language skills and many who had their education interrupted in their home countries. The student body is highly diverse, with students from more than 30 countries who speak over 35 different languages. 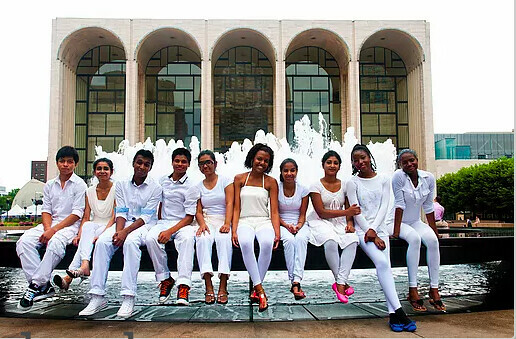 To foster a tone of acceptance and pride, Brooklyn International has "culture clubs" for African, Bengali, Chinese, Latino, Haitian and Arabic students. Academic standards are high, with the majority of students reporting on school surveys that they are encouraged to develop challenging academic goals. The school is equipped with a media arts laboratory where students may work on multimedia projects and films. All students complete a 12-week internship in a field in which they are interested, ranging from placements at museums to wildlife centers, according to the school's website. Most high schools require students to take five Regents exams to graduate, but at Brooklyn International, students only take the English Regents exam. In addition, they must present a portfolio of their work in order to graduate. The school, founded in 1994, is located on a gritty, traffic-choked spur of Flatbush Avenue in the Water’s Edge Educational Campus, a former torpedo factory in downtown Brooklyn. Brooklyn International shares the building with two other schools: Science Skills Center and the Urban Assembly High School of Music and Art. Students do not have to pass through metal detectors to enter the school, and the majority of students and teachers feel safe in and around the school building, according to school surveys. Extracurricular activities at Brooklyn International are varied and include many artistic and cultural opportunities, including language clubs, drama, dance and digital storytelling. Sports include bowling, cricket, soccer and wrestling. How many students say they feel safe in the hallways, bathrooms and locker rooms? How many students think bullying happens most or all of the time at this school? How many students graduate in 4 years? How many students graduate with test scores high enough to enroll at CUNY without remedial help? How many students take a college-level course or earn a professional certificate? How many graduates stay enrolled in college for at least 3 semesters? How many graduates earn Advanced Regents diplomas? How many English language learners graduate in 4 years?